If you missed it yesterday, I sent John his last care package! (Yay!) It was a Harry Potter care package with a bunch of goofy items that correlated to each house at Hogwarts. 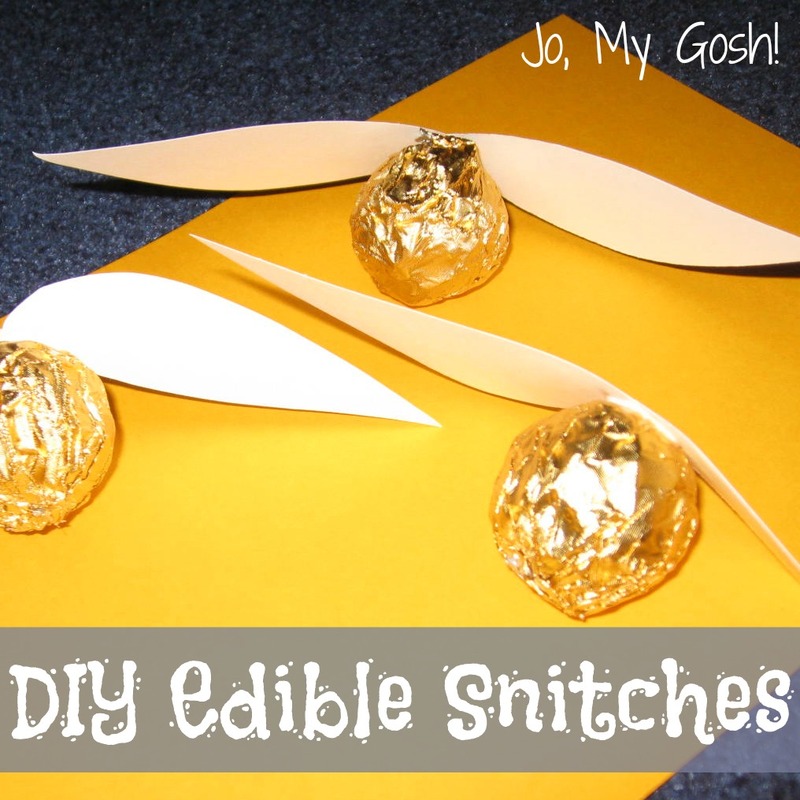 I also included a few snitches in the package that I made. I’m a little embarrassed even posting this as a DIY since it’s so simple! Fold white card stock in half and draw half of a pair of wings so that the middle part of the pair meets up with the fold. Cut out. Use a dot of glue on the top of one of the chocolates to secure the wings to the foil. While I used these in a care package, they’d be great for a Harry Potter party, too! Or change the shape of the wings a little, add black stripes, and you’ve got cute little bees for a garden party.